If you ever lose your hat while out in the wilds of Red Dead Redemption 2, this guide will show you how to easily get it back. Every cowboy needs a hat, and there are loads of times in Red Dead Redemption 2 when you're hat can come flying off your head. In this Red Dead Redemption 2 hats guide, we'll be walking you through how to find your lost hat in Red Dead Redemption 2, should it ever get shot off your head by a stray bullet. If you instead need help with any other matters to do with Rockstar’s wild west prequel, you’ll want to check out our full Red Dead Redemption 2 guides hub. It’s on this main page that you can find our complete beginner’s guide to the game, as well as a full index of all our in depth guides, covering multiple different areas of the big game. You can’t exactly shoot the limbs from the bodies of your enemies, but you can shoot their hats off in Red Dead Redemption 2, with a well placed shot. As it turns out, every hit Arthur Morgan sustains, whether from a gun or a fist, carries a risk of knocking the hat from his head, leaving it lying on the ground nearby. After the fight is done and dusted, you need to manually go over to your hat, to retrieve it. When you’re near your hat on the ground, you’ll get a button prompt on the left shoulder button to pick back up your hat, and put it back on your head. But, let’s say you forget to go back for your hat (as we have many times). It turns out your hat disappears if you forget to go back and pick it up off the ground, and you can find it back at your camp, with Dutch, Marston, and everyone else. All you need to do is use the wardrobe in your tent at the camp, and equip the hat that you were previously wearing. Simple. Alternatively, you can always keep three total hats in the saddlebags of your horse in Red Dead Redemption 2. 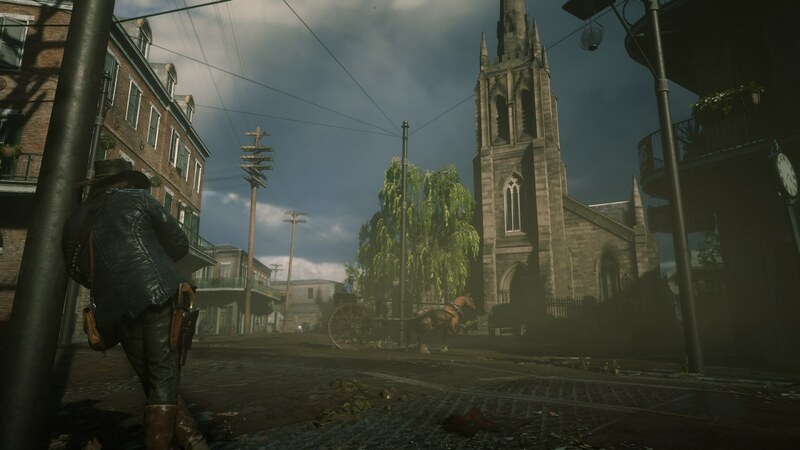 While on your horse, you can hold down the left bumper to bring up the item wheel, and tab over to 'Horse.' Here, you can find your three hats in the bottom right corner of the wheel, and to change which three hats are kept in the saddlebags, you simply need to head to the wardrobe in your camp as we detailed above, and open up the 'Hats' menu, selecting which three you want to equip to your horse. Now that we’re all done with this particular guide to Rockstar’s Red Dead Redemption 2, you can check out some of our other guides on the huge game. You can find our guide on how to shave in Red Dead Redemption 2 if you’re a bit sick of the beard, or our full Red Dead Redemption 2 Deadeye guide for more.